Sadly, we had to cancel last Friday’s weekly veg boxes because of the sudden heavy snow fall in Cornwall. 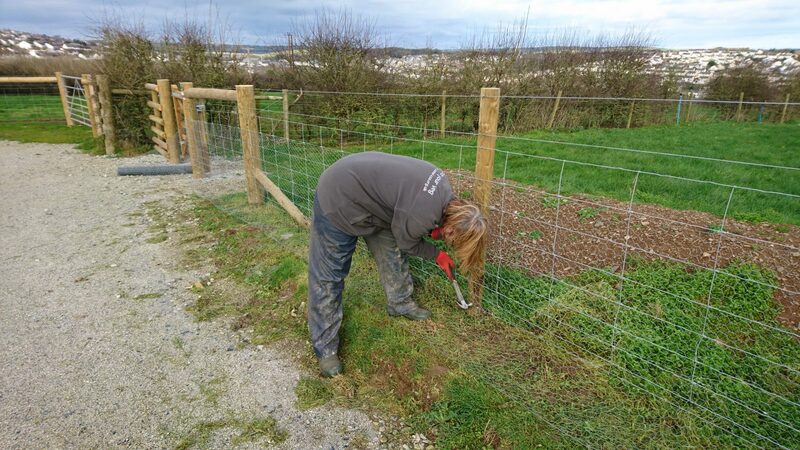 Now the snow’s all gone, growers Bridget and Mark can carry on building the rabbit-proof fence around our new growing site at Treraven Farm above Wadebridge. 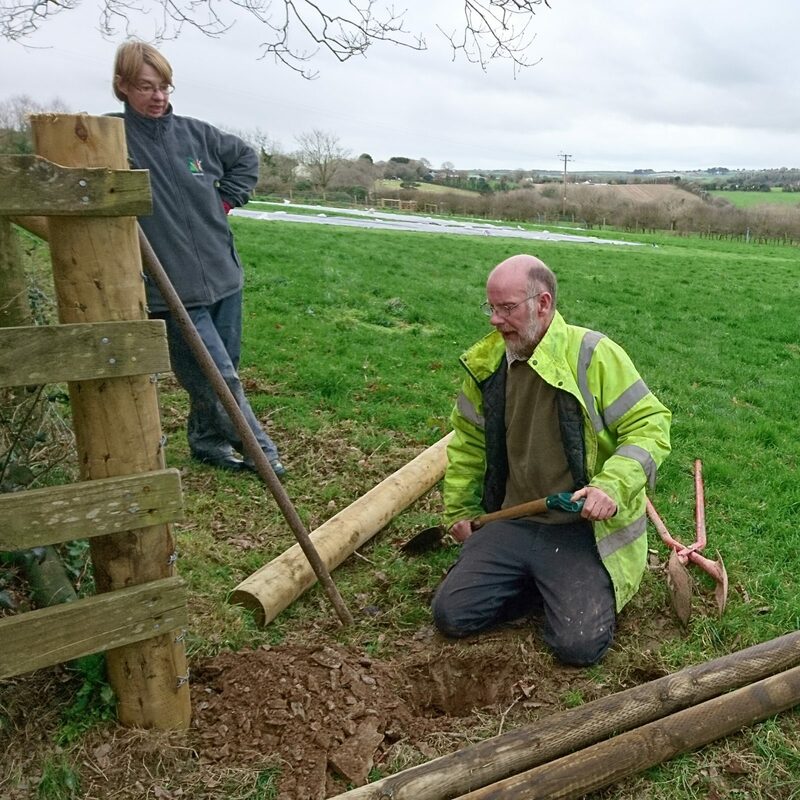 We’ve also begun marking out our first two vegetable growing beds on our field at Treraven, which is owned by the Gaia Trust. 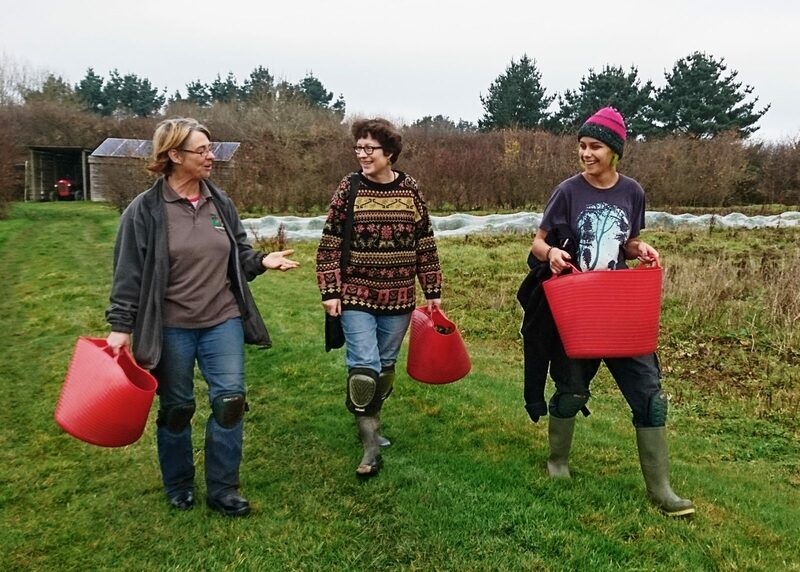 Over the next 18 months we’re gradually relocating our polytunnels, growing beds, equipment store, solar panels and packing shed to the new site at Treraven from our current base at St Kew Highway. 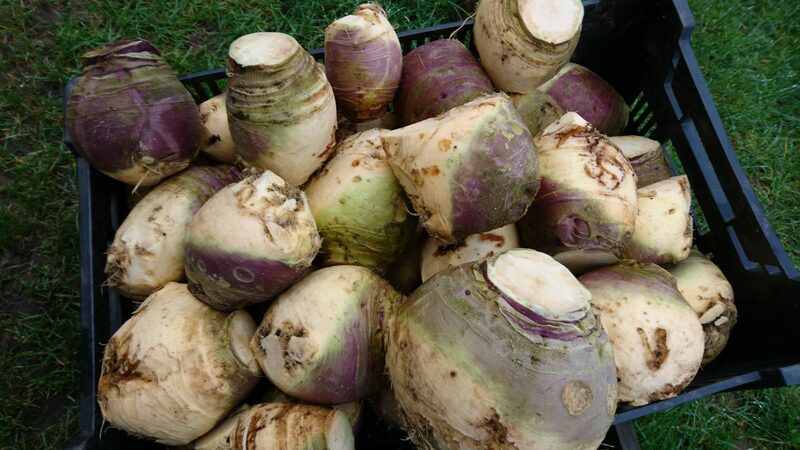 This week’s awesome veg boxes include swede for serving with haggis on Burns Night. Camel CSA growers Mark and Bridget have begun marking out our first two vegetable growing beds above Wadebridge at Treraven Farm owned by the Gaia Trust. 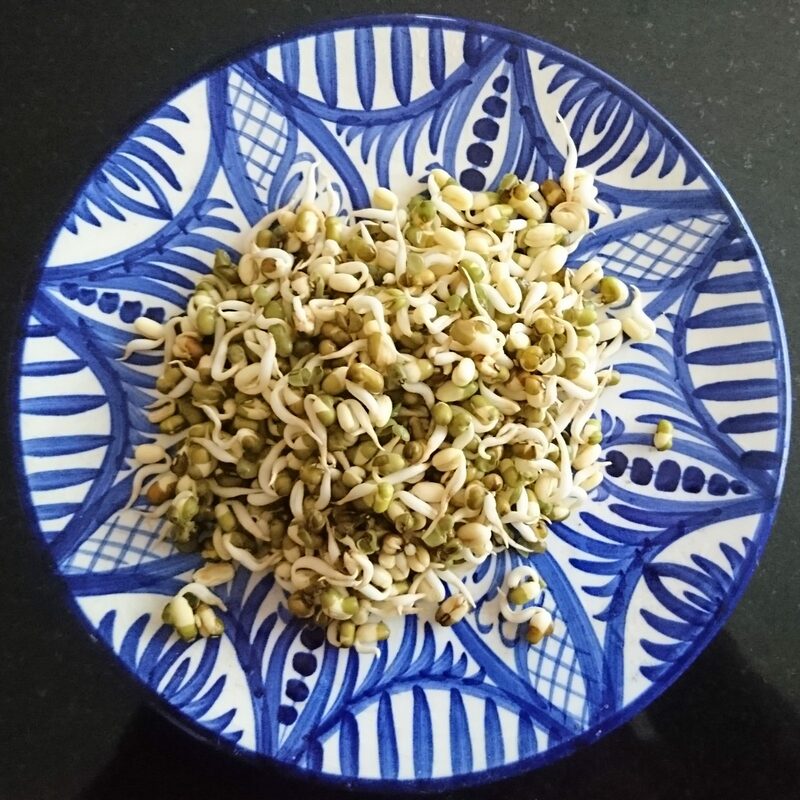 We’re practising the No-Dig Method of organic cultivation championed by Charles Dowding. A thick layer of mulch will be applied in a few months’ time once the rye grass has died out underneath the black plastic. 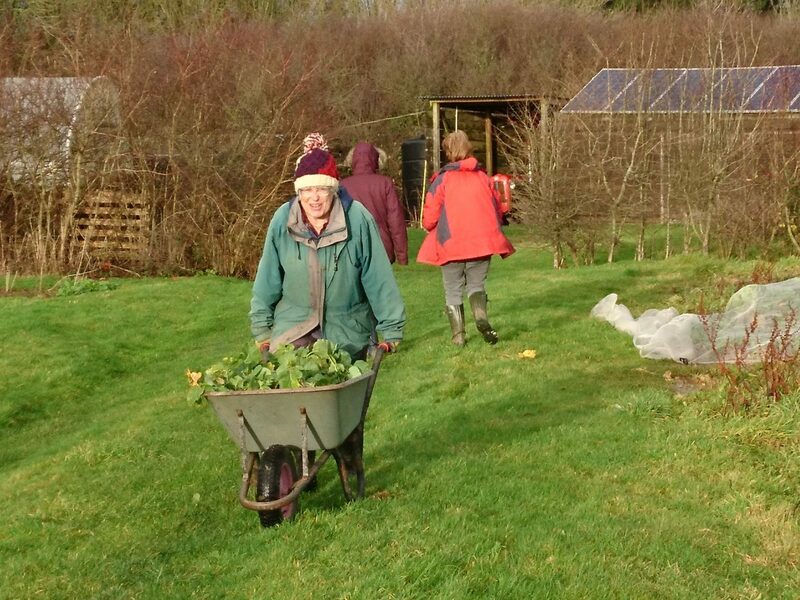 Then we’ll plant up the surface compost with our first winter crops – kale, purple sprouting broccoli and swede. 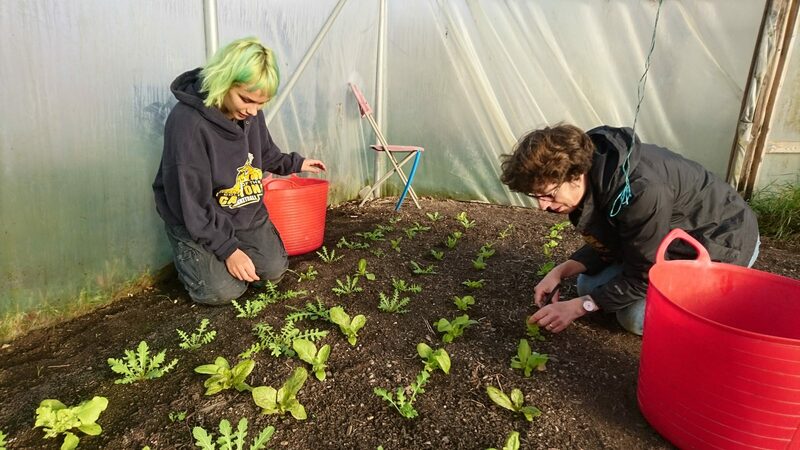 Over the next 18 months we’re gradually relocating our polytunnels, growing beds, equipment store, solar panels and packing shed to the new site at Treraven. 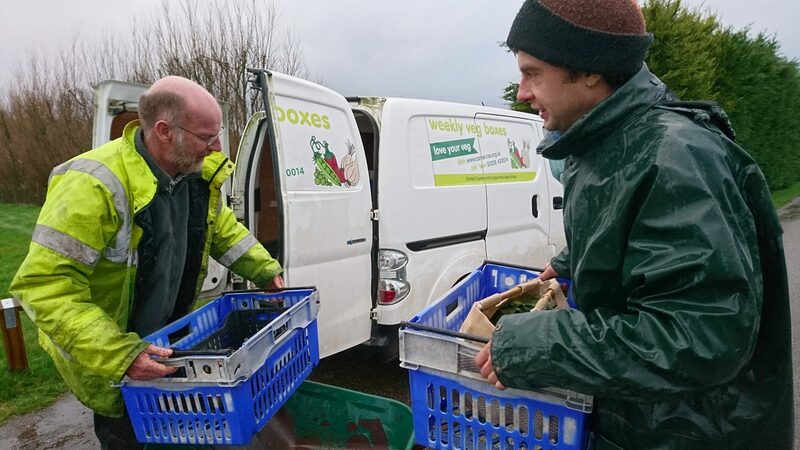 Growers and volunteers dodged heavy showers under glowering skies on Friday to pack a record 61 veg boxes and get them into the van. Big thanks to Mark and Bridget, and Charlotte, Jane, Janet, Rinca, Spencer and Toby. We’re extremely grateful to Wadebridge town councillors who have generously agreed to grant us £500 from their voluntary community and social enterprise budget. 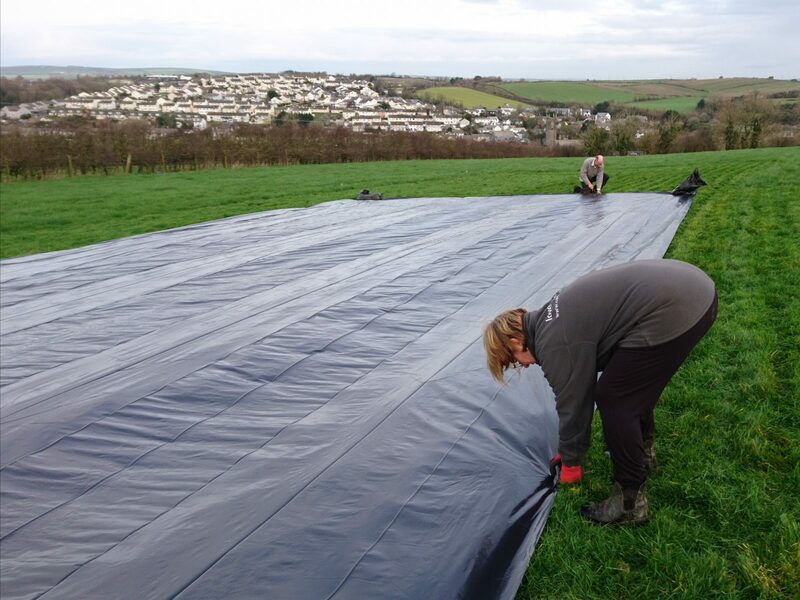 We’ll be using the money to help fund the cost of erecting the first polytunnel on our new veg growing site above Wadebridge at Treraven Farm. Weather permitting, we’ll be relocating the tunnel from our St Kew Highway site very soon. Our other polytunnels, growing beds, equipment store, solar panels and packing shed will follow over the next 18 months. We also have hand-harvested winter salad leaves in our veg boxes this week. They’re fiddly to pick, but worth it. Many thanks to our growers Mark and Bridget and Friday’s picking and packing volunteers Bea, Celina, Charlotte, Darren, Jane, Phillippa, Rimca, Rob, Toby. And not forgetting Betty the dog! 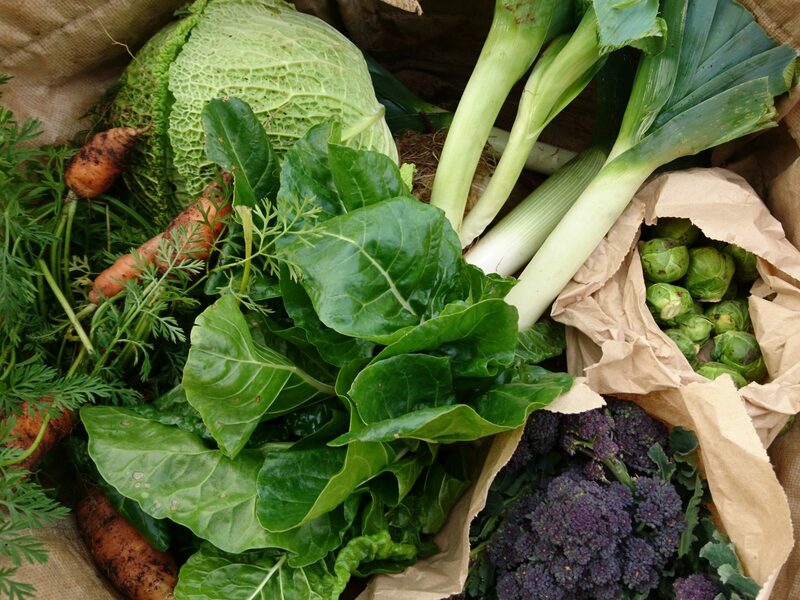 We got 60 festive veg boxes ready for pick-up and delivery by 12 noon on the Friday before Christmas. 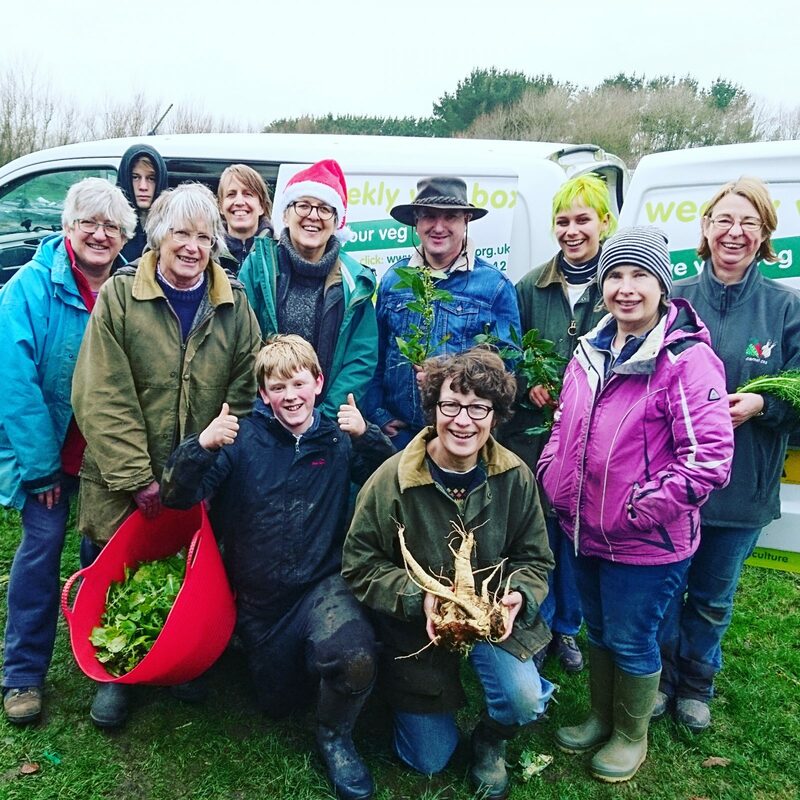 Big thanks to our growers Mark and Bridget and to volunteers Anna, Bea, Charlotte, Danny, Darren, Finn, Helen, Jane, Janet, Max, Phillippa, Rob and Toby. *celeriac (Mark Norman)*= grown to organic principles. Please wash all produce thoroughly. Veg grown by Camel CSA unless stated otherwise. 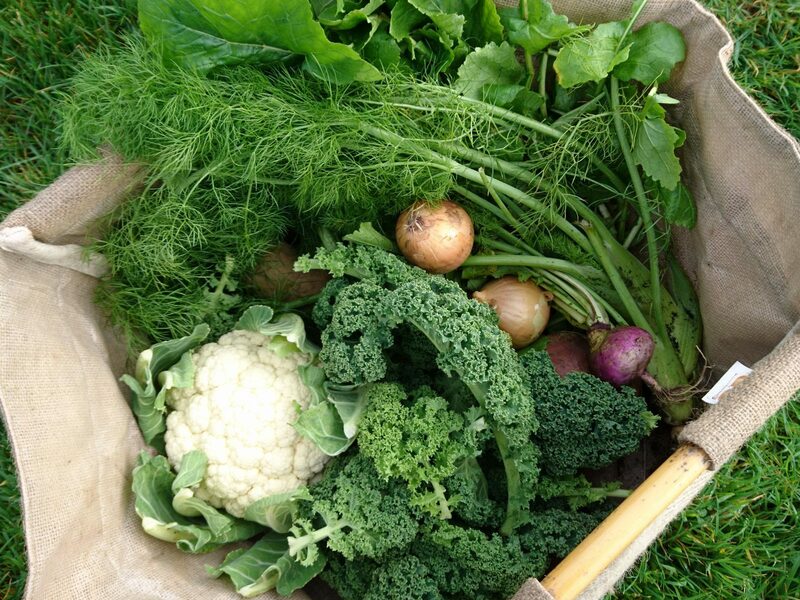 There’s a typical winter seasonal selection in our veg boxes this week. 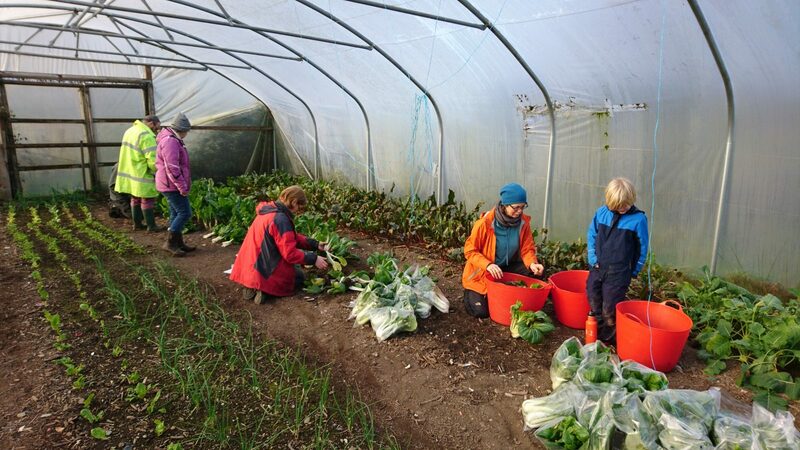 The polytunnels provide welcome shelter at this time of year for our picking and packing volunteers on Fridays. Many thanks to Anna, Bea, Charlotte, Elliott, Helen, Phillippa, Toby D, Toby T and Trish. *= grown to organic principles. Please wash all produce thoroughly. Veg grown by Camel CSA unless stated otherwise. Waste not, want not… We’re sharing out the end-of-season green tomatoes along with this fantastic recipe created by Camel CSA member Maxine. 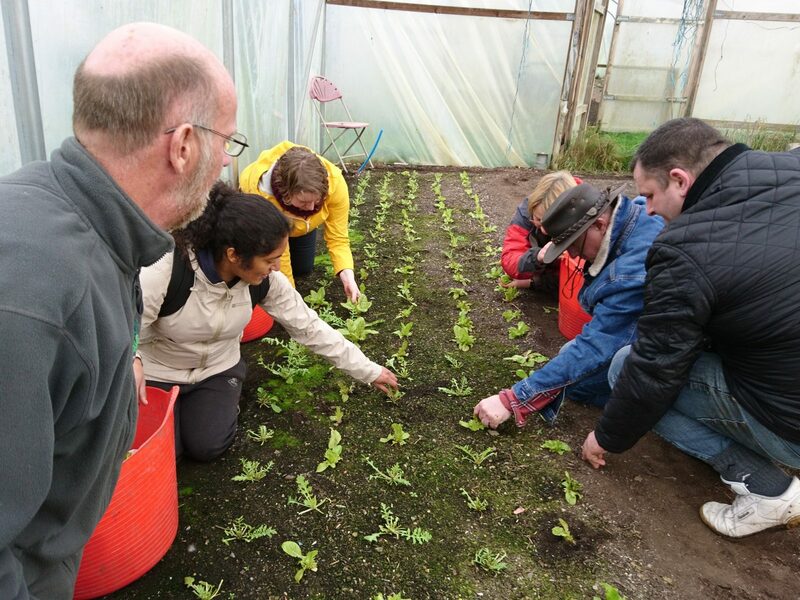 A great bunch of volunteers turned out to help growers Bridget and Mark prepare Friday’s veg boxes. Many thanks to Bea, Charlotte, Darren, Jane, Phillippa, Rob, Sarah and Toby. *= grown to organic principles. Please wash all produce thoroughly. 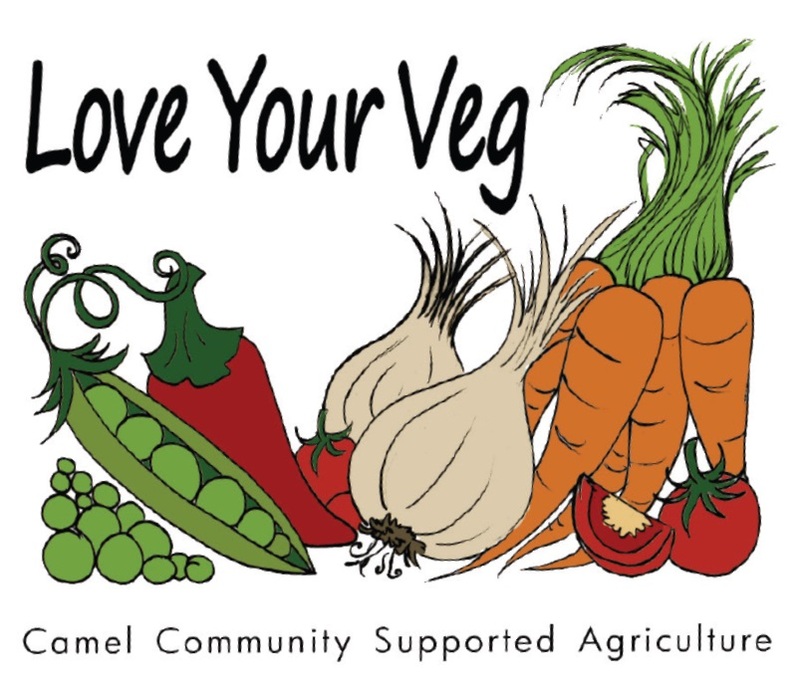 Veg grown by Camel CSA unless stated otherwise.